Mashable's Pete Cashmore says the Web isn't dead, and the updated version of Twitter.com proves it. 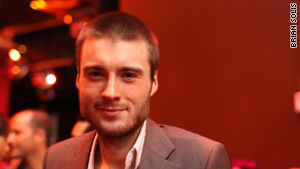 Editor's note: Pete Cashmore is founder and CEO of Mashable, a popular blog about social media. He writes a weekly column about social networking and tech for CNN.com. (CNN) -- If the Web is dead, nobody told Twitter. Just last month, Wired magazine controversially claimed that the Web is going the way of the dodo -- users are increasingly abandoning the Web browser and instead accessing their favorite Web services via applications on smartphones, the logic goes. One of the companies shaping this trend was Twitter, the information network that became accessible through countless third-party applications on mobile devices and the desktop. This week, however, Twitter announced a major redesign of its website. The intent: To make Twitter.com a compelling Web destination. Whatever happened to the death of the Web at the hands of mobile applications? The dramatic overhaul of the Twitter website is admittedly a change in Twitter's strategy. In 2009, Steven Johnson wrote in Time magazine that "One of the most telling facts about the Twitter platform is that the vast majority of its users interact with the service via software created by third parties." This factor pointed to a more sustainable model for Web companies: Rather than expending resources on feature creation, simply open up your platform to third parties and let them conduct your research and development work for free. Thousands of applications bloomed, and Twitter's audience grew as a result. This model, Twitter soon learned, has a downside: When users spend their time interacting with your service away from your website, you're unable to control their experience. What is Twitter? Why does it matter? How should I use it? A feature-rich, centralized website like Facebook can answer these questions right away by presenting its very best facets to the user. But with every new Twitter user discovering the service via its bare-bones website or a third party application, the user experience became as fragmented as the ecosystem itself. This likely hurt user retention rates and fueled user confusion. Seeing an opportunity to regain control of the user experience, Twitter reacted by building or acquiring applications for each mobile platform, essentially creating a set of "official" Twitter apps. Yet the move damaged Twitter's app ecosystem: Suddenly app developers were in direct competition with Twitter itself. Twitter's website relaunch may be perceived as more of the same: Its feature-rich site now competes with desktop Twitter clients like TweetDeck and Seesmic. Cynics might add that the third-party development model is also bad for Twitter's business aims. Traditional advertising is best served via a centralized website, while tracking user behavior is much easier when all the action happens in a venue you control. For some, the fact that Twitter will likely pursue a more conventional, advertising-based revenue model is a disappointment, however. As former Twitter employee Alex Payne lamented this week: "Twitter's accelerating turn towards that business model is, on some level, a little disappointing. But as a stockholder and someone who wants to see the company survive and succeed, it's clearly the most pragmatic way for Twitter to capitalize on its substantial and growing network." The Web, it seems, is far from dead. Rather, a Web company that thrived because of its developer ecosystem is rediscovering the advantages of a compelling website: Greater control of the user experience and more real estate for advertisers. The opinions expressed in this commentary are solely those of Pete Cashmore.